Article - What makes a Great Home School Co Op? Some people might say a great location, interesting classes, a large group, a small group, good leadership, godly leaders.... There are many answers that might be given and in most cases, they could all be true. Other than prayer for the co-op, there is one thing that I'd say makes a co-op great, regardless of which state you're in, what your goals are, or how big or small you want to be. It's the commitment of the families. Here are some ways families can help their co-op be successful. Make sure your child is well-rested before co-op days. Feed your child before going to co-op so they won't be hungry during class. Arrive on time or early. Volunteer when there is a need, even if it's something you may not really want to do. If you have a problem with another family, talk with that person directly. Do not gossip. Make suggestions directly to the leaders.- Compliment other parent-teachers and leaders about things you like! If you or your child has a problem with another child, address that problem immediately and in a Biblical manner. Show up for classes unless someone is sick. Don't go to co-op if your child is sick! This will be especially important this fall and winter with a potentially deadly flu circulating. Finish the semester. Teach your child how to fulfill commitments. It makes it difficult on everyone if someone drops out. I'm sure there are other ideas, but these are some easy ones that everyone can do to make a co-op more successful. Finally, the Bible states that "For where two or three come together in my name, there am I with them" (Matthew 18:20). Every parent should commit to PRAY for co-op leaders, other families in the co-op and our homeschool rights in general. Sonya is a veteran homeschool mom of five children. The oldest is in high school and her youngest is just learning to read! Sonya advocates a form of relaxed homeschooling with Christ as the foundation. 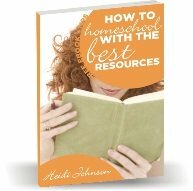 Her book, Homeschooling for the Rest of Us, is available at Christian Book Distributors. I received this article from First Class Homeschool Ministries. Hopefully this home school co op article will give you some ideas of how to make your coop even better.